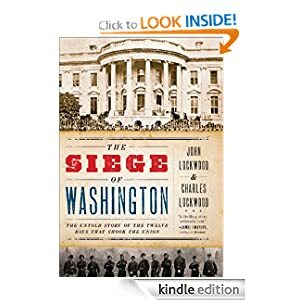 Today Amazon offer to enrich your e-books collection by The Siege of Washington: The Untold Story of the Twelve Days That Shook the Union written by John Lockwood and Charles Lockwood just for $1.99. On April 14, 1861, following the surrender of Fort Sumter, Washington was “put into the condition of a siege,” declared Abraham Lincoln. Located sixty miles south of the Mason-Dixon Line, the nation’s capital was surrounded by the slave states of Maryland and Virginia. With no fortifications and only a handful of trained soldiers, Washington was an ideal target for the Confederacy. The South echoed with cries of “On to Washington!” and Jefferson Davis’s wife sent out cards inviting her friends to a reception at the White House on May 1. Lincoln issued an emergency proclamation on April 15, calling for 75,000 troops to suppress the rebellion and protect the capital. One question now transfixed the nation: Whose forces would reach Washington first: Northern defenders or Southern attackers? For 12 days, the city’s fate hung in the balance. Washington was entirely isolated from the North–without trains, telegraph, or mail. Sandbags were stacked around major landmarks, and the unfinished Capitol was transformed into a barracks, with volunteer troops camping out in the House and Senate chambers. Meanwhile, Maryland secessionists blocked the passage of Union reinforcements trying to reach Washington, and a rumored force of 20,000 Confederate soldiers lay in wait just across the Potomac River. Drawing on firsthand accounts, The Siege of Washington tells this story from the perspective of leading officials, residents trapped inside the city, Confederates plotting to seize it, and Union troops racing to save it, capturing with brilliance and immediacy the precarious first days of the Civil War. 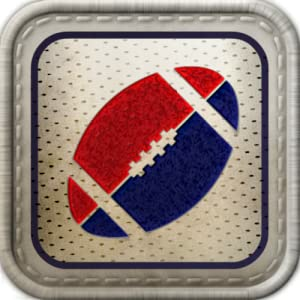 Flick Kick Field Goal is a game for your Kindle Fire which could attract your kids and free your time for a while. One of advantages of this game is that you can get it free. But only today. Tomorrow it’s price will be different. So, do not lose your opportunity – click here. In Flick Kick Field Goal, players take on the role of a field goal kicker on a football team as they try to make kicks of varying difficulty through the goalposts at the end of the field. Pick one of four different game modes: Practice, Sudden Death, Arcade, or Time Attack, and try out Flick Kick Field Goal‘s intuitive control system to begin making kicks like a pro. Flick Kick Field Goal features online leaderboards and achievements with OpenFeint support. Rack up the points and then post your newest scores to Flick Kick’s global leaderboards. Think you’re good? Show off your skills online as you compete against others for the top spot! This entry was posted in Kindle Accessories, Kindle Applications, Kindle Books, Kindle Daily Deal, Uncategorized and tagged Charles Lockwood, John Lockwood, The Siege of Washington by Paul. Bookmark the permalink.